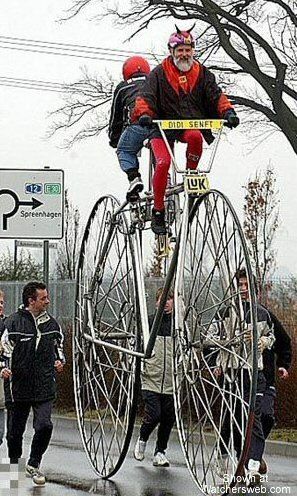 Ok I agree,,,,, how tall is that bike......and how do you get on it,,,,,, even more important how do you dismount. Why is the stroker sitting backwards? Is is to see the reactions of people as behind them? They are too old for that!